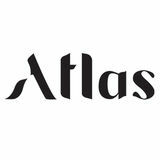 Atlas Magazine is a submissions based fashion magazine focused on promoting the next generation of creatives. Founded by Megan Breukelman and Olivia Bossert, Atlas is a collection of beautiful images from around the globe that is constantly updated with daily style inspiration and quarterly magazine issues. The magazine previously reached international print distribution, and currently thrives in its digital format.